Los Angeles, CA, October 21, 2018 — FITBLOX, a health, fitness, and social community platform built on the EOS blockchain, combining incentive-based rewards and social media monetization, announces its integration of the widely-adopted Bancor Protocol to facilitate liquidity for its native FBX tokens. The FITBLOX DApp will empower users to monetize both their fitness journey and social media experience by utilizing a unique stake-weighted voting system which encourages users to participate in a motivational advancement model. FITBLOX’s adoption of the widely established protocol will also have a significant impact in increasing the accessibility and utility of its high-liquidity tokens for FITBLOX users worldwide. The Bancor Protocol is a decentralized and reliable trading infrastructure that provides liquidity to over 120 Ethereum and EOS-based tokens. Its token, BNT, is consistently in the top 100 in market capitalization, and its ease of adoption gives rise to many growth opportunities for new cryptocurrencies like FITBLOX, empowering the formation of a long-tail of small-scale tokens. The integration of the Bancor Protocol will give FITBLOX (FBX) token holders access to continuous liquidity regardless of trade volume or exchange listings. This is possible through the Bancor Network, where any integrated token can be automatically converted to any other token from the Bancor Wallet. FITBLOX users will be able to purchase and sell FBX tokens directly from the Bancor Wallet at a formulaically calculated conversion price. 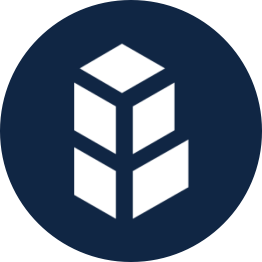 By leveraging the capabilities of smart contracts to build liquidity directly into tokens, the Bancor Protocol’s Smart Tokens™ act as non-profit automated market makers. “With this strategic integration, our users can experience instant token liquidity by converting FITBLOX (FBX) tokens to any other token in the widely established Bancor Network. 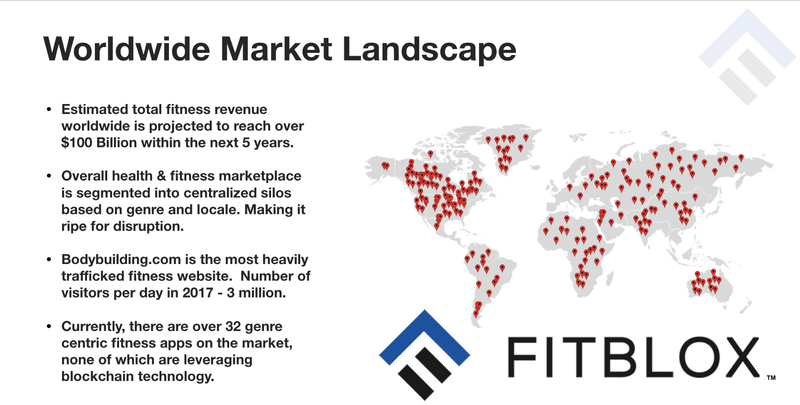 The accessibility of our tokens will be a key distinction and offer FITBLOX a powerful advantage as we develop meaningful partnerships with a variety of businesses and tokens on behalf of the FITBLOX community,” he said. FITBLOX will activate a Liquid Relay Token with at least 1% of its circulating token supply amounting up to $250,000 USD upon the successful completion of its token sale in 2019. Users will be able to purchase and sell FITBLOX (FBX) tokens directly from the Bancor Wallet at a formulaically calculated price. FITBLOX is the intersection of user monetized social media and secure fitness tracking technology enabled by the EOS blockchain. 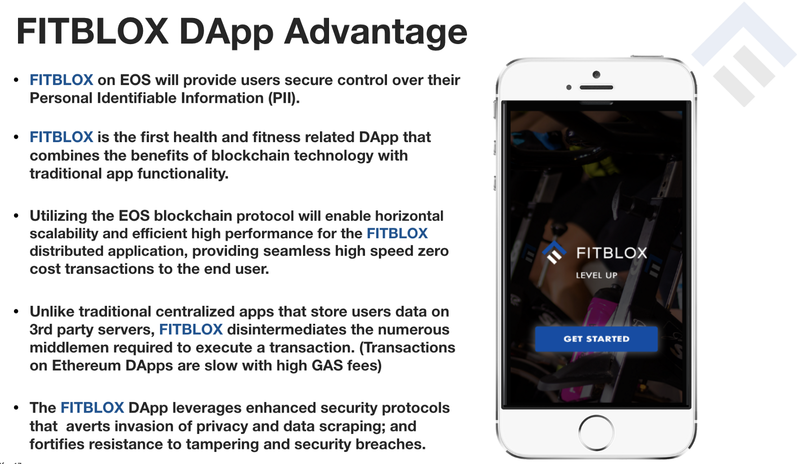 The FITBLOX DApp will enable users to control their own data & content by providing access to secure fitness tracking technology merged with an immersive incentive-based rewards social media experience. Our DApp will leverage DPOS as the basis for our stake-weighted voting system which will enable content creators to be rewarded by the community for sharing useful content. 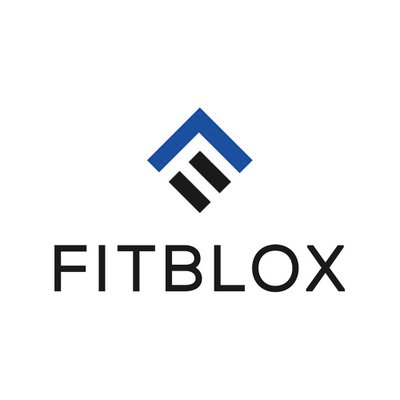 FITBLOX will offer users access to a symbiotic marketplace for health and fitness products and content, creating a 360° user experience. Bancor is the world’s largest decentralized liquidity network. Bancor functions similar to a decentralized exchange, with a key difference: orders are processed against automated smart contracts on the blockchain, instead of matching two parties in a trade. Any project can easily integrate their token by creating a Relay on the Bancor Network to automate fair and efficient token conversions for users, directly from their wallets. Tokens on Bancor are instantly convertible for one another, with 8000+ trading pairs across ETH, DAI, BNB & more. Bancor technologies impact organizations and people across the globe, from blockchain teams to token holders to real-world communities in Africa, Asia and beyond. Visit the Bancor Web App to convert tokens instantly, list your token on the Bancor Network or join the Bancor Telegram group for more information. 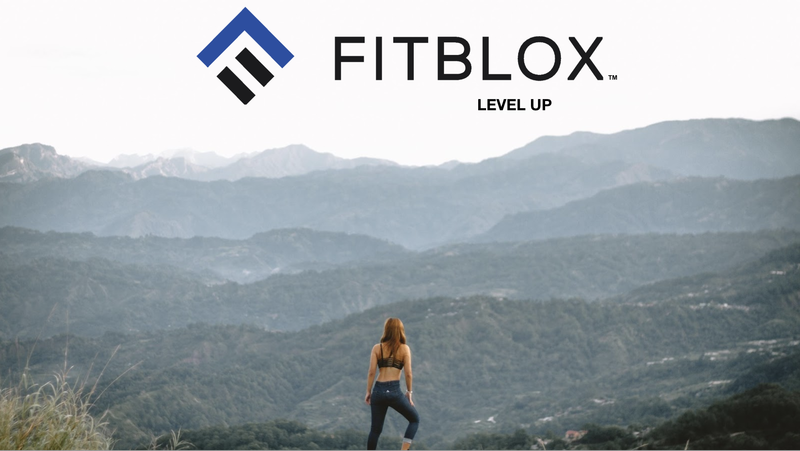 FITBLOX, a health, fitness, and social community platform built on the EOS blockchain, combining incentive-based rewards and social media monetization.